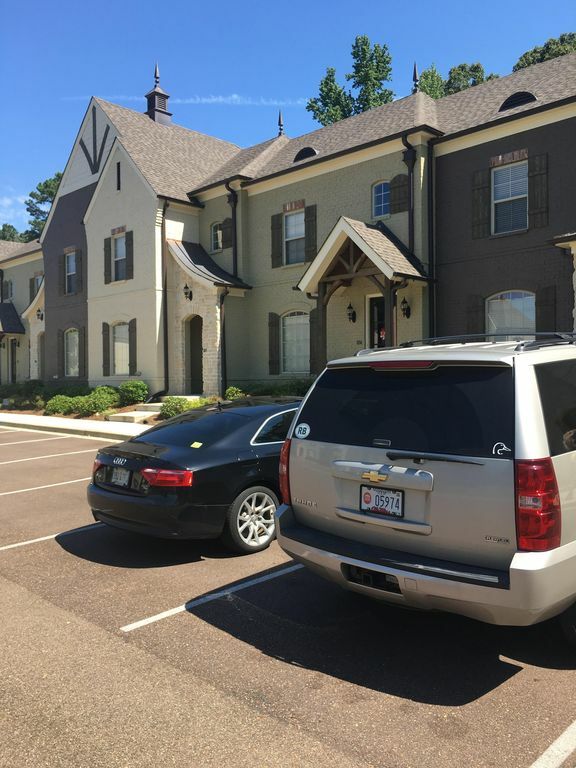 Located 2.5 miles away from Vaught-Hemmingway Stadium and less than a mile away from campus, Brighton village is a great weekend getaway in Oxford, MS. This is a french country styled complex that offers 3 bedrooms and 3.5 bathrooms. Hardwood flooring in the living room, granite slab counter tops, tile flooring, island bar, custom cabinetry, and stainless appliances in the kitchen. Custom furniture placed throughout the condominium along with 4K HD televisions, free wifi, and a back patio perfect for grilling. Community pool and pool house with waterfall located less than 30 yards from front door. Fresh sheets, towels, and bare essentials will be included. 1800 square feet. Pet friendly. 2 stories. 2 bedrooms located upstairs. ******Please Note: This is a cable free home. Smart TVs and consoles are provided with apps for internet browsing and streaming. Netflix, HBO, Hulu, ESPN, CNN is all provided. The only thing clean were the bed linens and towels. The kitchen was disgusting. I had to clean, the oven could not be used due to the buildup on the bottom. One bedroom could not be used due to the nasty fish tank and very loud filter. It was not worth the money or the issues. The owner refused to assist or offer refund.....BEWARE!!! PS-bring your own Toilet Paper...there was very little provided and no backup. Coffee pot had old coffee in it....I could go on but people who actually clean get my point. Stay Away. Due to unforeseen circumstances, the condo was not ready as it should have been. I lend my dearest apologies to the renter, and hope I can accommodate her better in the future. Gregory’s home was perfect for our first parents’ weekend at Ole Miss. Each couple had their own bedroom and private bathroom. The back patio and grill gave us the perfect spot to enjoy quality time with our kids who we hadn’t seen in a couple of months. The home was very clean and suited our needs perfectly! It was close enough to campus without being in the heavy traffic areas after and before the game. Gregory left us a personal note and snacks which was a very nice personal touch. I’ll definitely rent here again! Thank you Tanya! We enjoyed having you!